Going to lunch in Amish County always turns out to be more than just lunch. How can you not enjoy all the shops and scenery along the way? 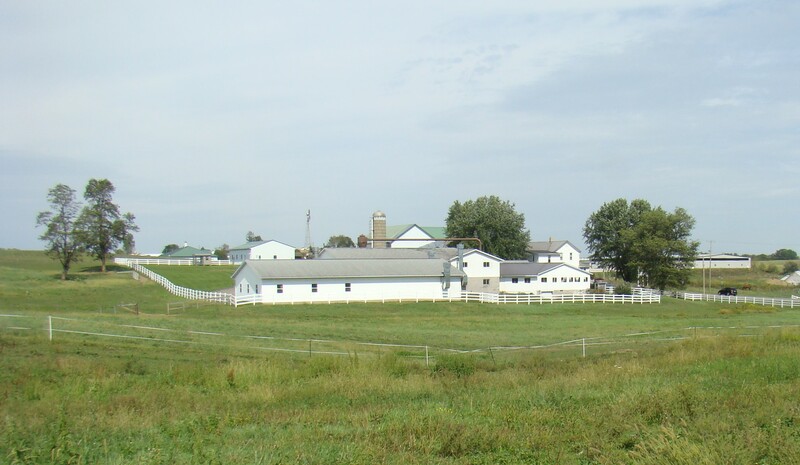 Let’s take a picture tour of Beautiful Amish Country! A drive in the fall is extra special as the leaves are just starting to turn and the bright autumn colors of flowers and pumpkins cheered the spirits, even if there was one brown spot along the way. 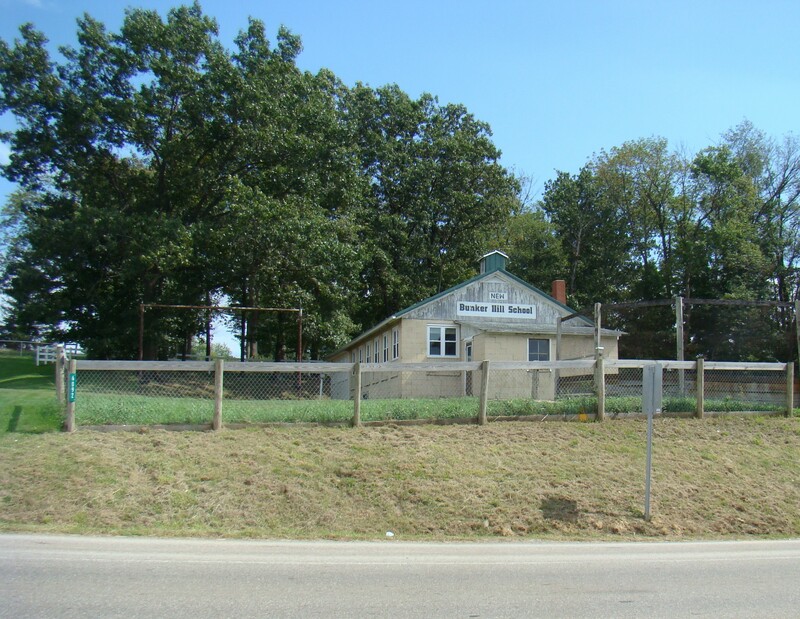 Everyone wants to enjoy a fine Amish home cooked meal. Homemade noodles and real mashed potatoes top the menu for me. 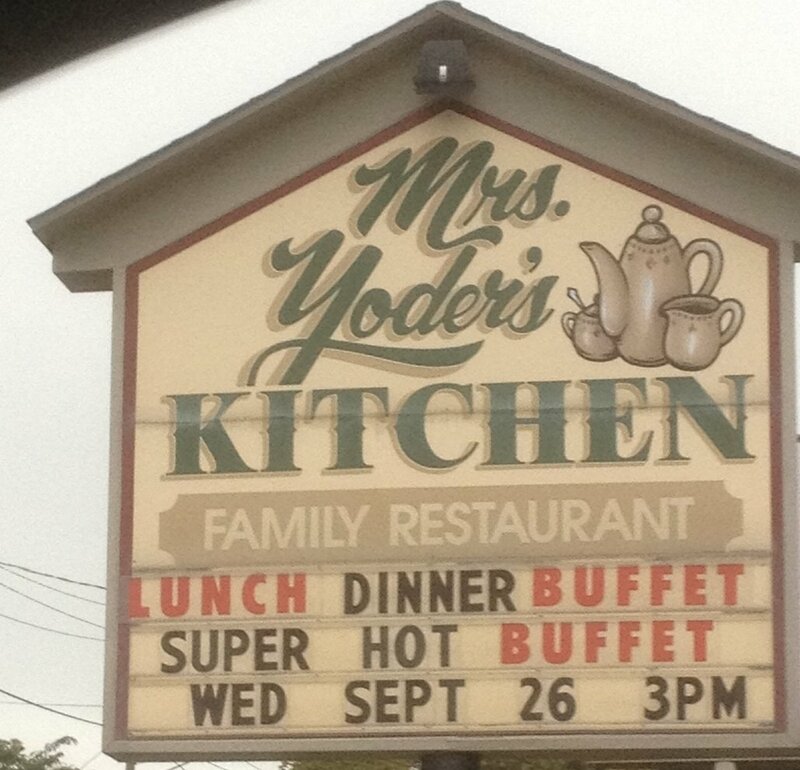 Therefore, a stop at Mrs. Yoder’s Kitchen started the day in a tasty manner. 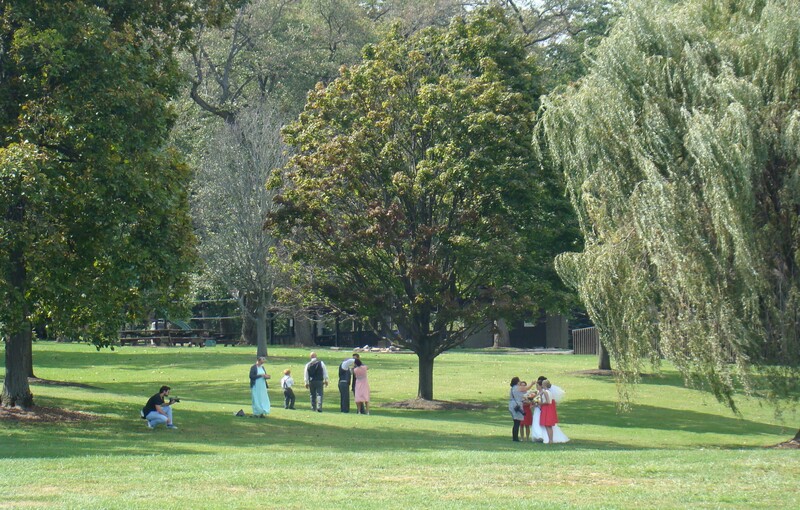 Roadside glimpse of what appeared to be a wedding in Amish Country added a smile to the day. 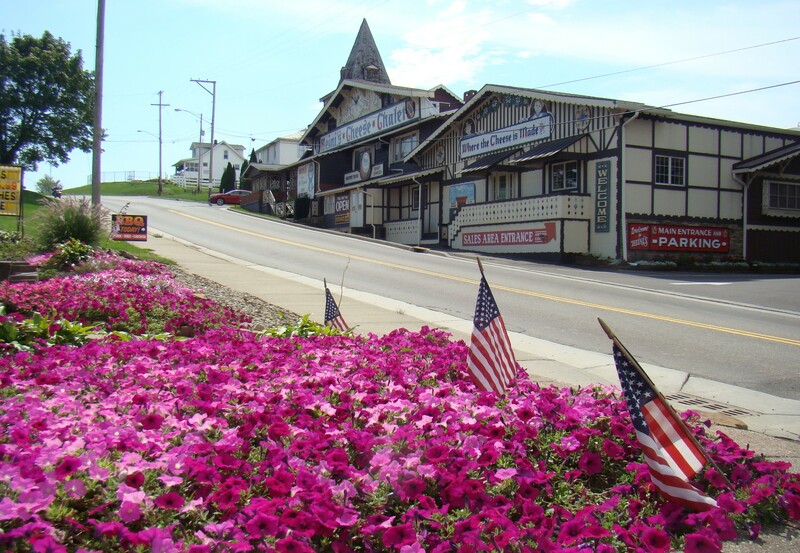 A large bed of bright, beautiful petunias bloomed along the street across from Heini’s Cheese Chalet and Country Mall. Recess was over at New Bunker Hill School on the return trip from lunch. Earlier the playground was filled with the activity of all 15 students and one teacher. Fresh fruit and vegetables beckoned from the side of the road. 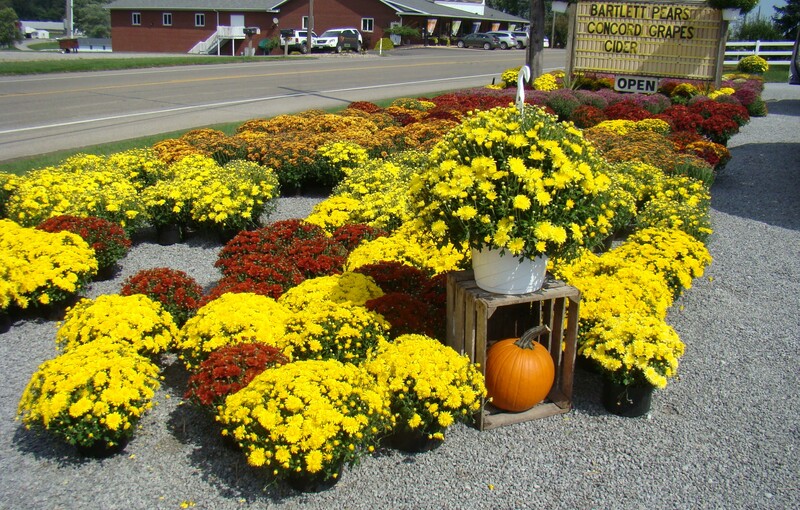 Yellow mums and orange pumpkins brightened the parking area of Miller’s Field Fresh Fruits and Vegetables. 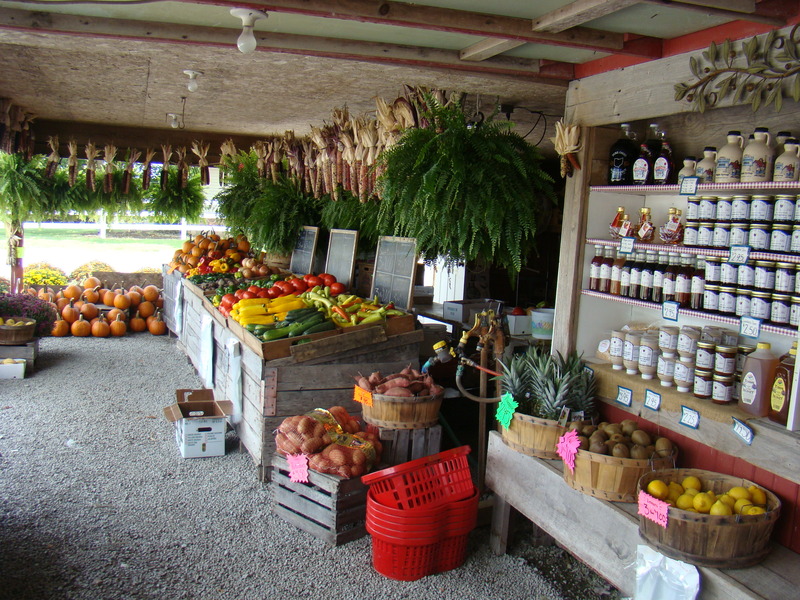 Inside their roadside stand, everything looked delicious…even after lunch! In the midst of all this fresh produce, the fragrance of concord grapes took me back to my parents’ grape arbor. Yes, a purchase was made. They tasted as good as they smelled. 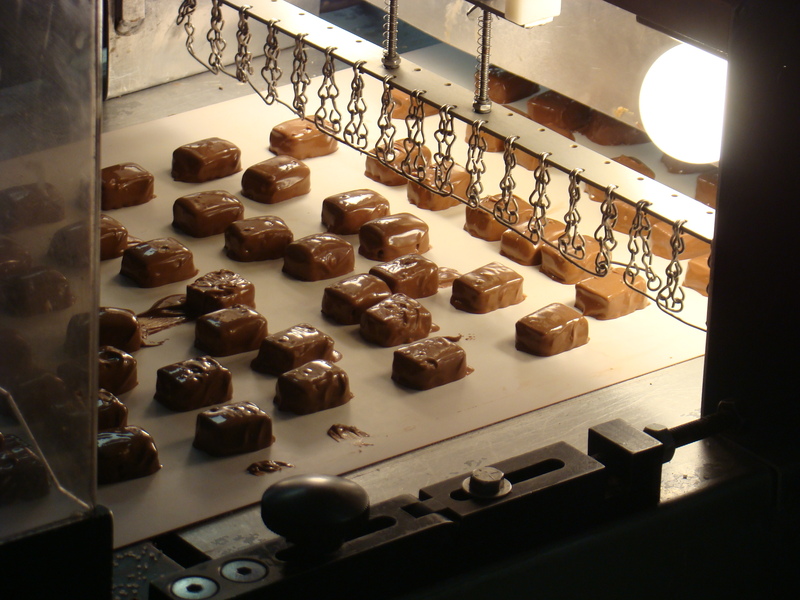 Now appeared that drab brown spot in the journey – Coblentz Chocolate Company! Watching the girls meticulously examine each piece of chocolate, gave assurance of a quality product. These delicate wire chains made the proper design on each piece of chocolate. Dry field of cornstalks stand ready for picking as they hold their prized ears. 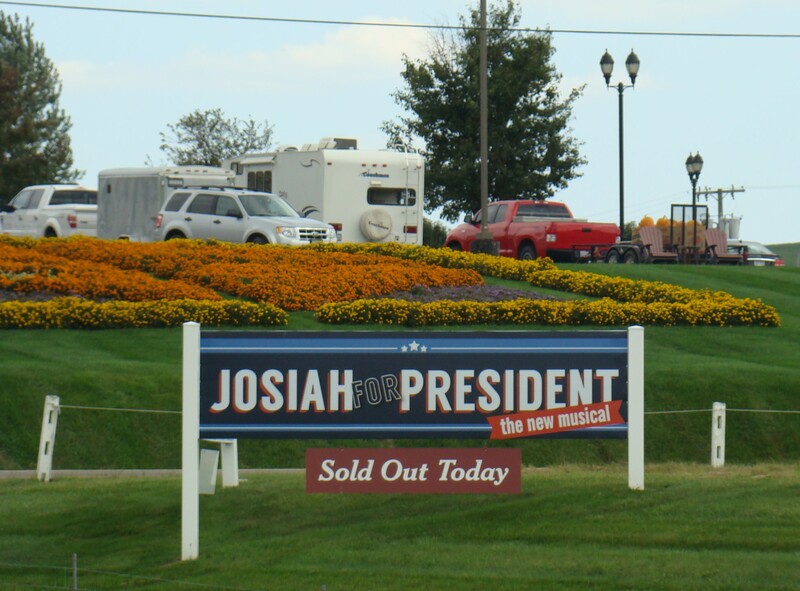 Josiah for President As presidential election time approaches and candidates are getting ready for debates, the Amish show their sense of humor by having a play about one of their own candidates – Josiah! All along the way, beautiful farms rest among the rolling hills. Their bright white fences and neat homes show the importance of home and family in their lives. 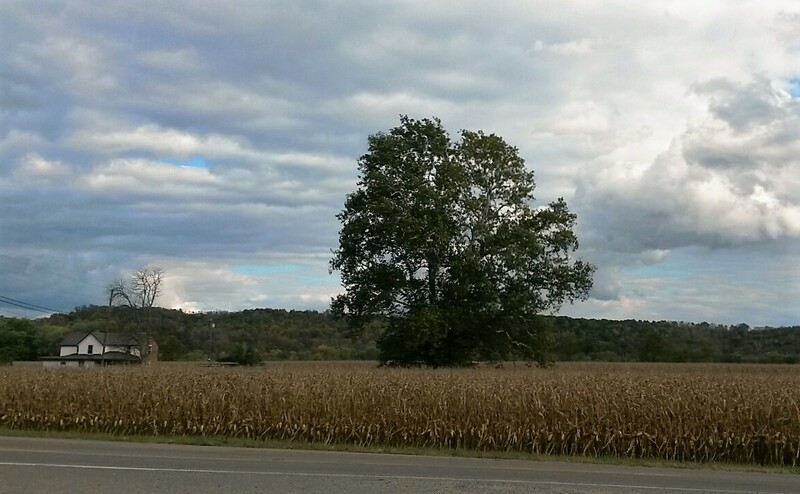 Any season of the year is a great time for a drive in Amish County. Thank you, Bev, for sharing this lovely terrain and natural beauty. There is so much beauty around us, if we but take the time to stop and look. Thanks for stopping by, Kandi. I haven’t been in Amish country in many years, but only have fond memories of my stay. Thank you, Bev for bringing back those back to me and to show that it is one area that has not changed. Perhaps it was the excitement of the chocolate that caused your words to trip over themselves. Since we live close by, it is a favorite drive several times a year. Wonderful tour. Thanks for sharing. I was up there once many, many years ago in what seems like another life. Glad you were able to visit Amish Country and see the peacefulness there. Lives move in mysterious ways so its fun to experience different lifestyles when possible. Thank you for your kind words and for sharing this on your blog. It’s easy to capture the spirit of such a beautiful Amish area in Ohio.